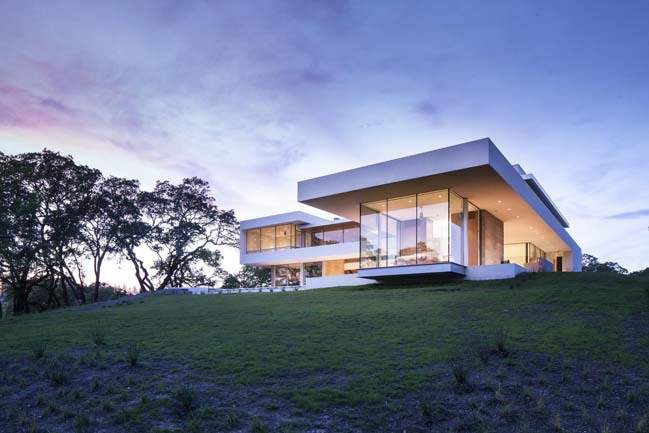 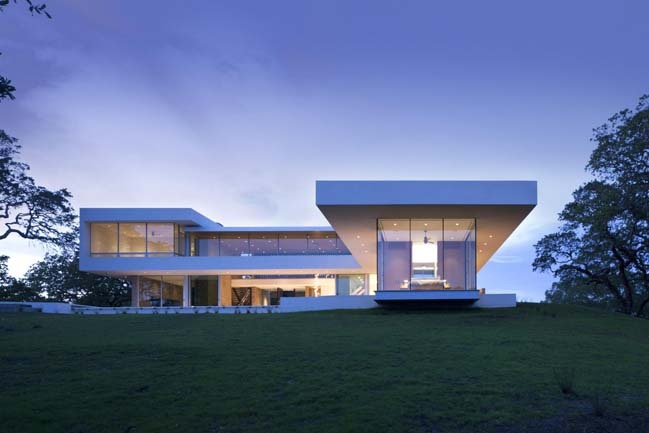 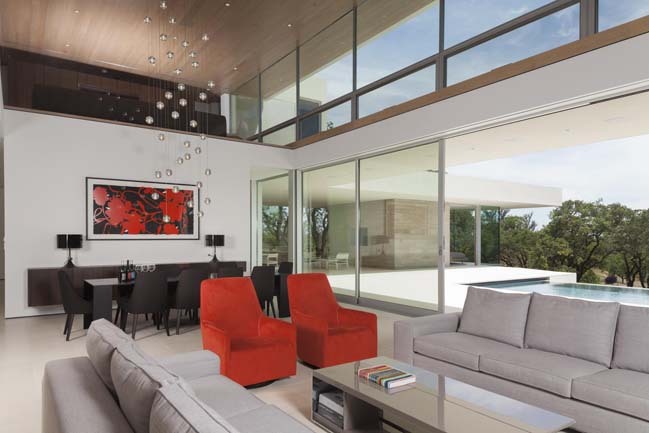 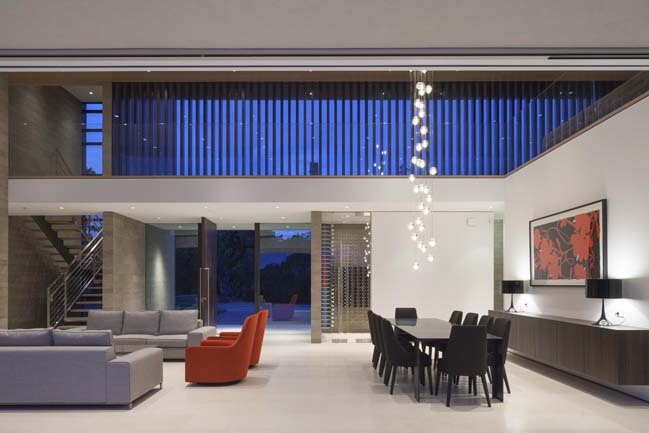 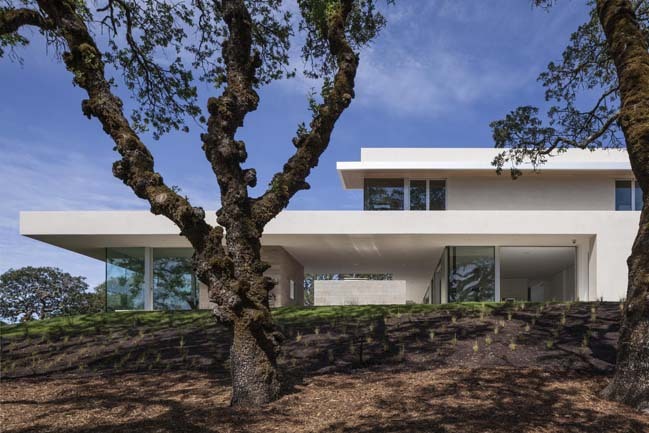 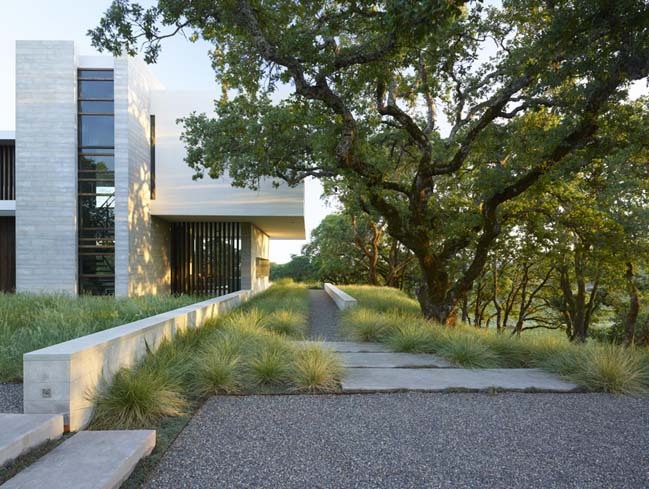 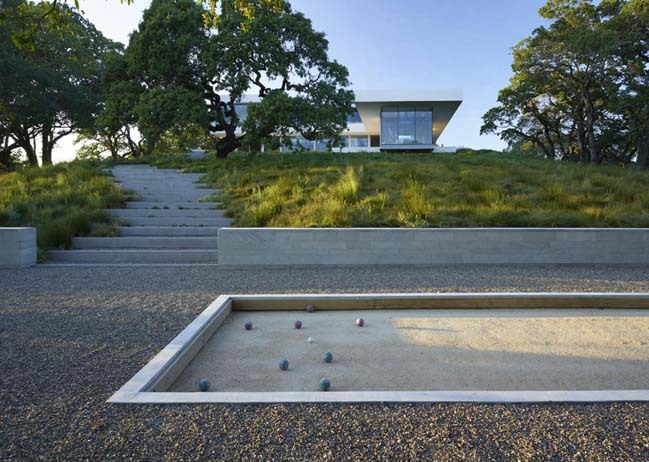 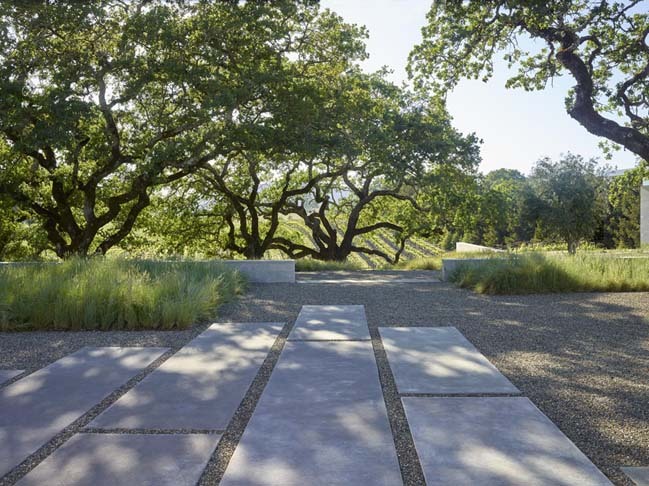 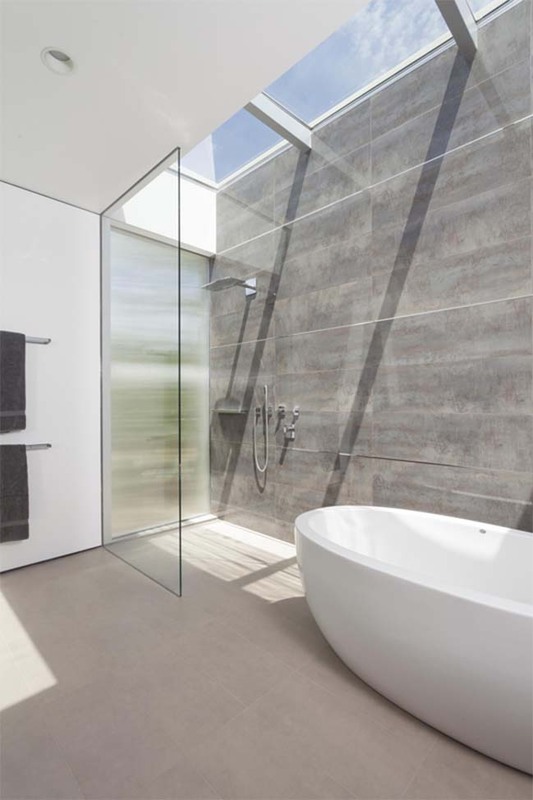 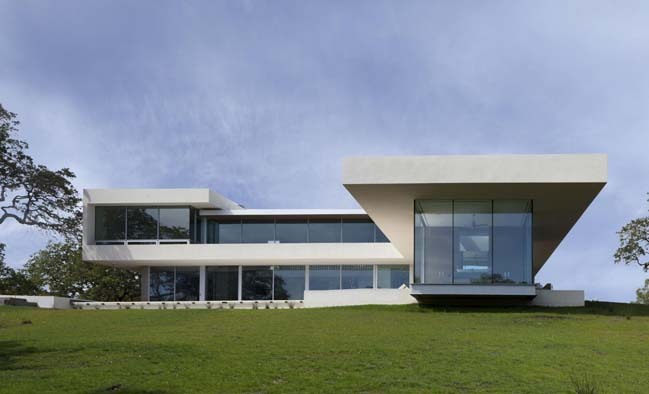 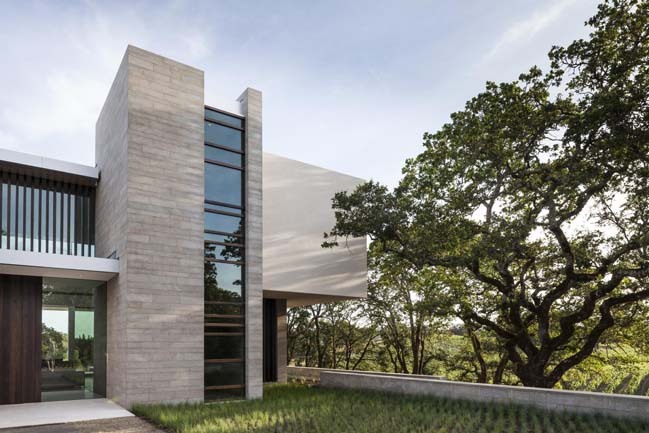 Designed by SWATT MIERS Architects. 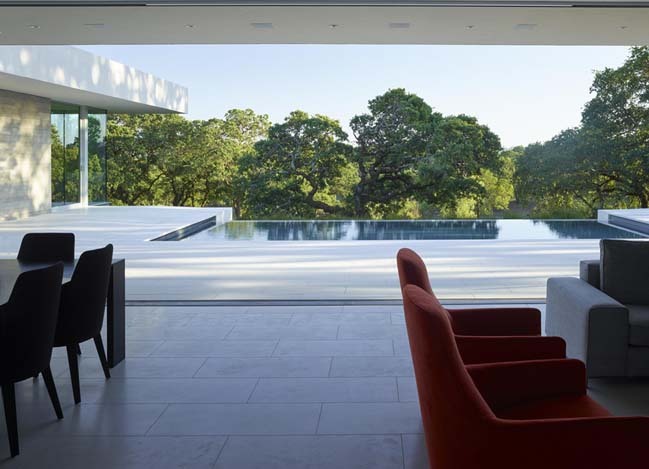 The Vineyard House is a luxury villa which located on a gently sloping knoll in Windsor, California that surrounded by 20 acres of Pinot Noir vineyards. 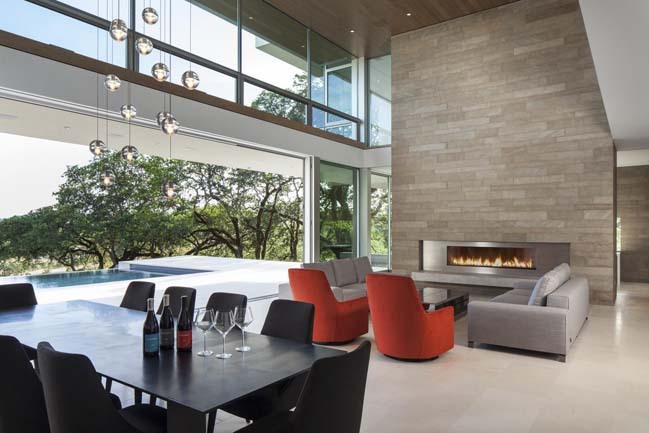 The villa has been designed to provide casual indoor-outdoor living spaces that take full advantage of the magnificent wine-country site. 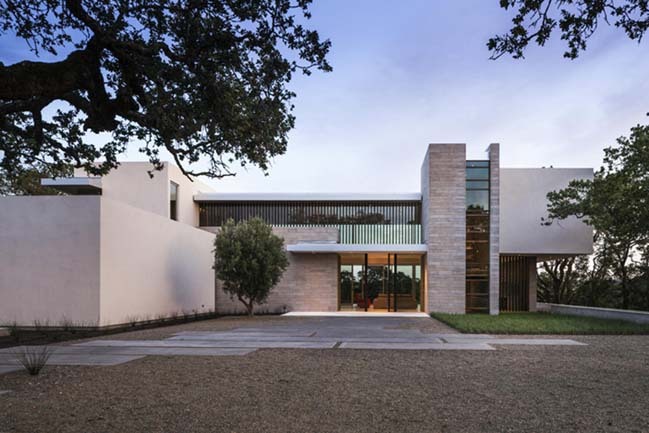 In plan, the villa is an elongated 'T', creating a relatively opaque and private entry courtyard on the north side. 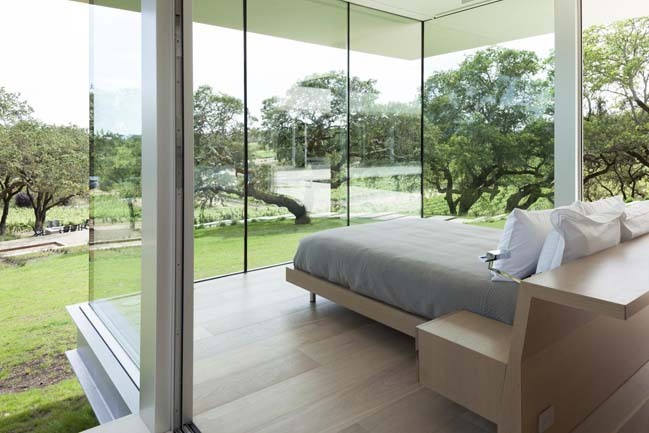 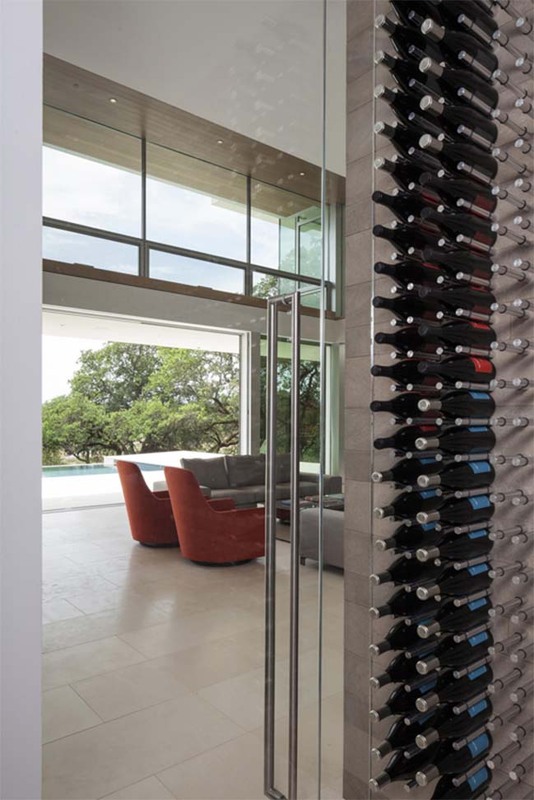 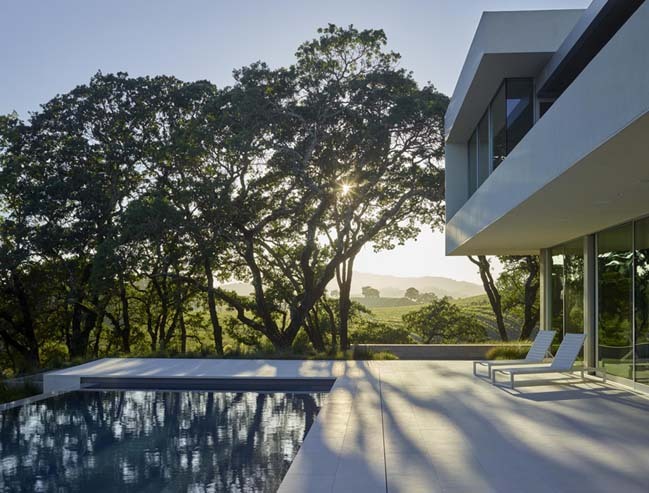 In contrast, the south side of the villa is all glass, including large sliding glass doors that open the interior spaces to an expansive swimming pool terrace, overlooking the vineyards below. 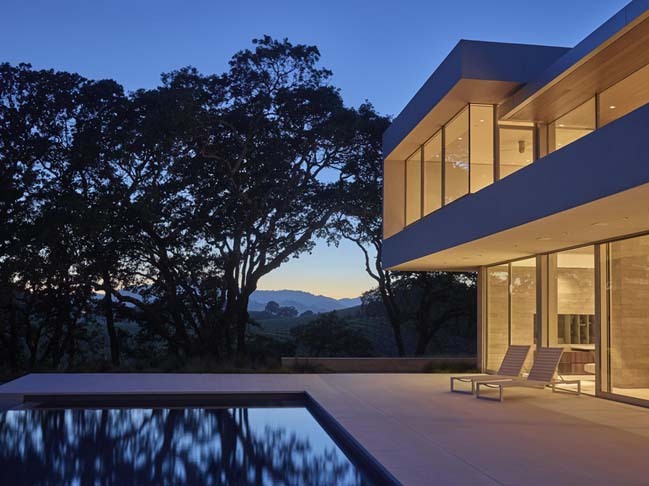 A deep, floating roof spans over the main house and a glass guest house, creating a sun-protected outdoor kitchen and dining terrace with dramatic pool and vineyard views on two sides.